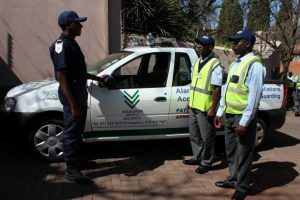 Squadron Vikela Security Services – Midrand Gauteng. The threats and security concerns of modern society call for highly proactive security programs. These include comprehensive training programs with essential site/industry specific training as well as emergency/disaster planning. SVS has the experience and diverse clientèle background necessary to provide our customers with customised programs built with insight from all types of situations. Squadron Vikela Security Services – Midrand Gauteng. We are an accredited and registered company of security provision with a reputation for both effective security solutions and the use of innovative technology in the protection of life and property. We have a portfolio of completed and on-going projects with particular emphasis on government, schools, industrial, commercial and estate security administration. Everything we do will be customised for you! We deliver premium security solutions at best price.